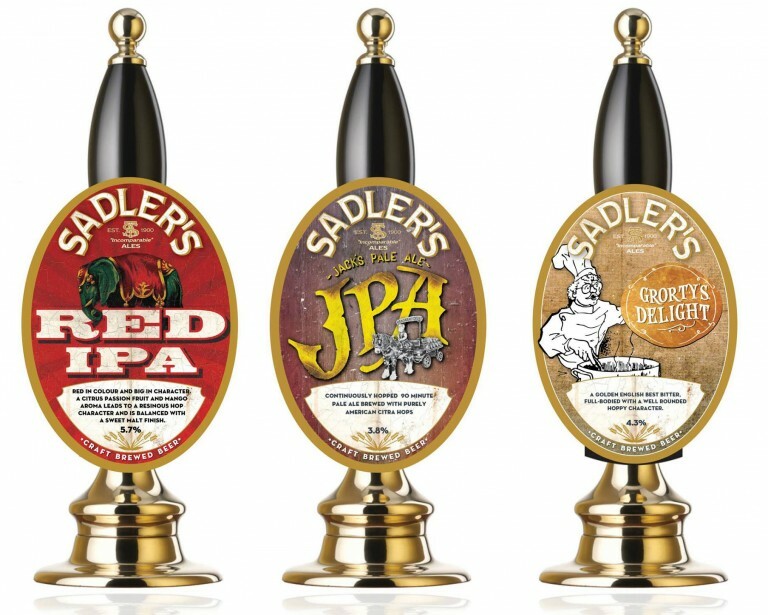 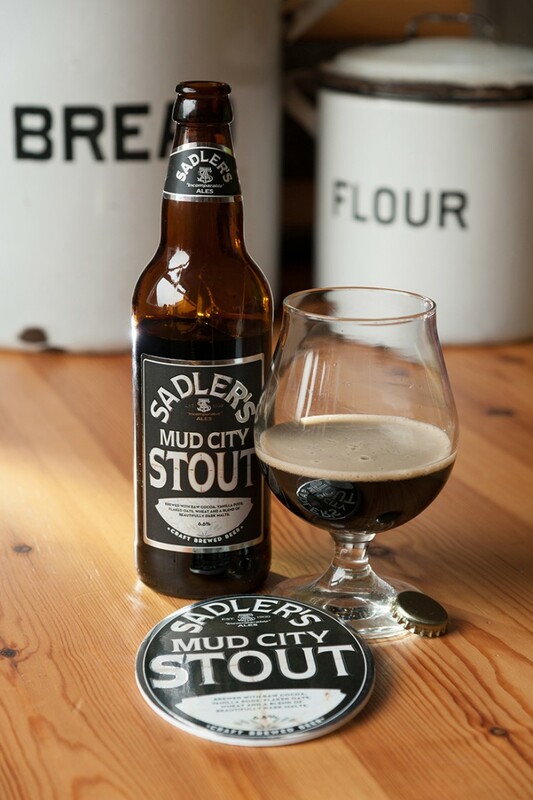 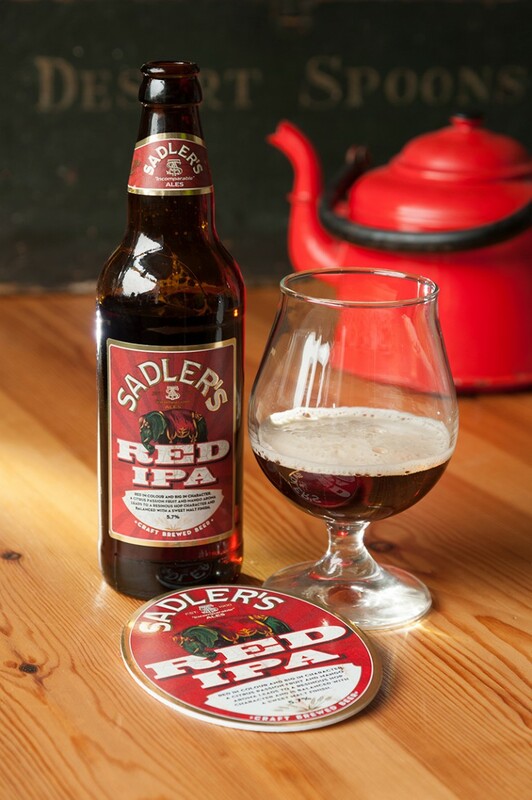 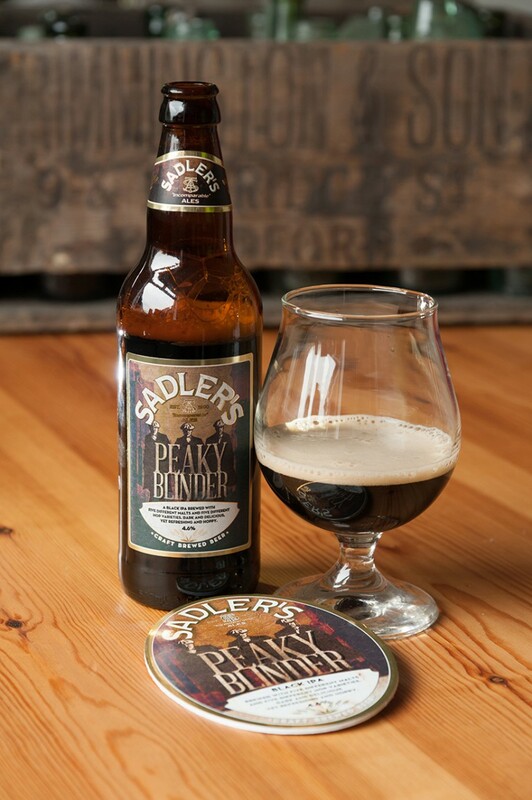 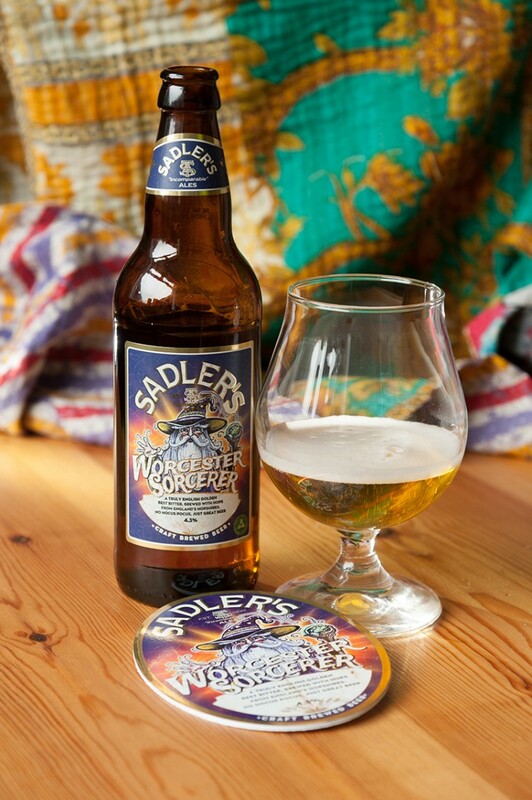 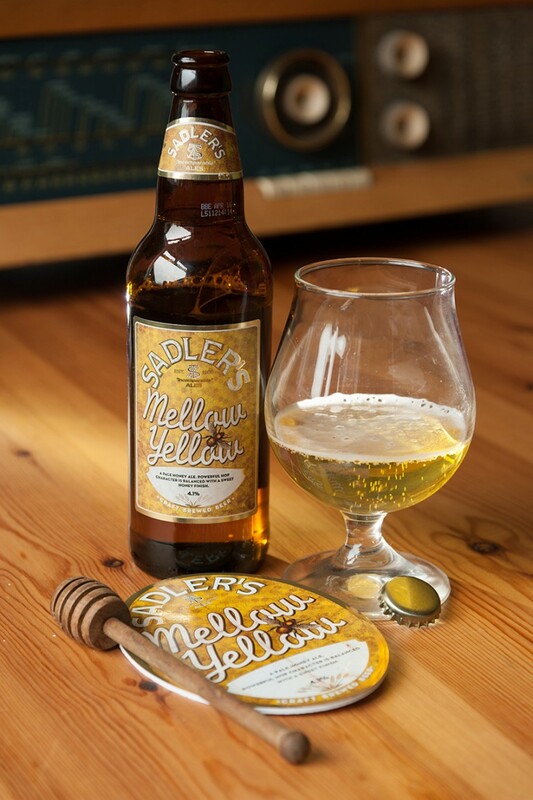 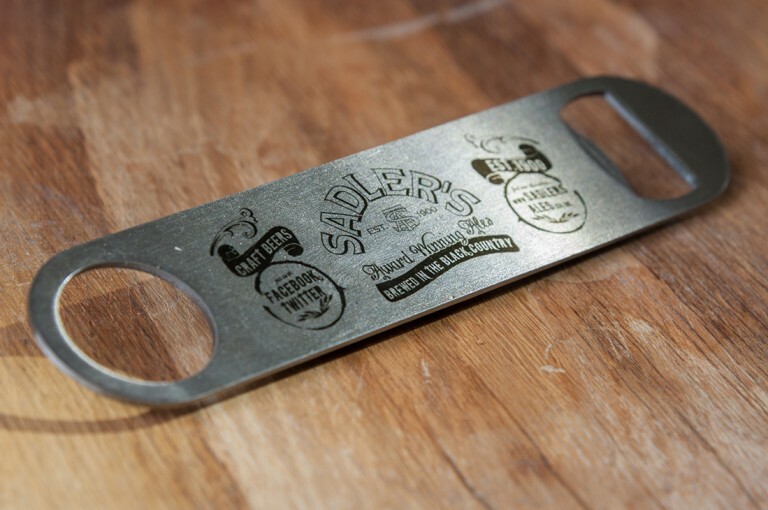 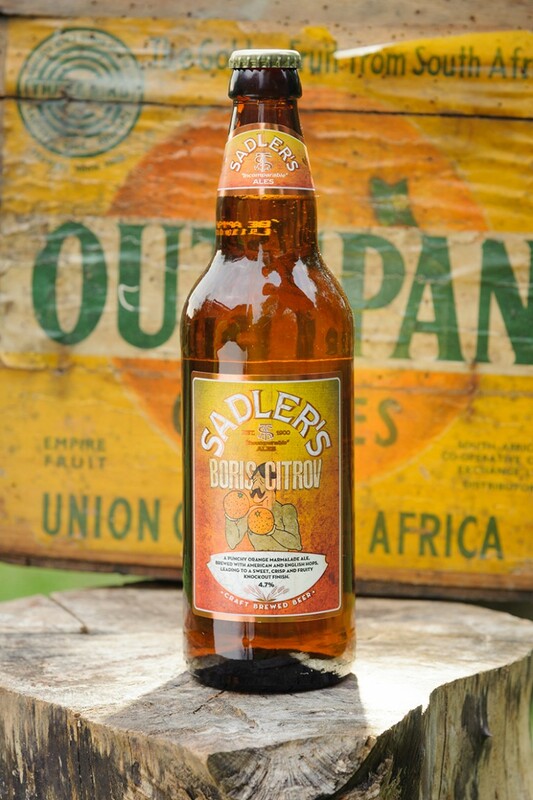 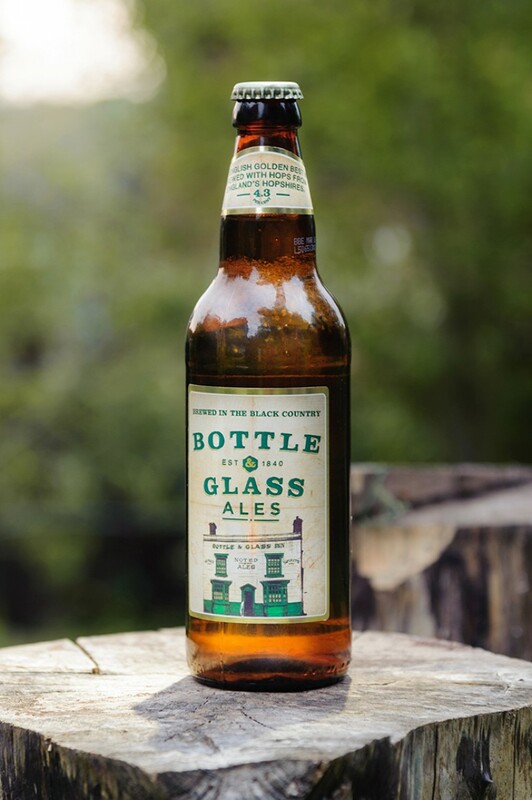 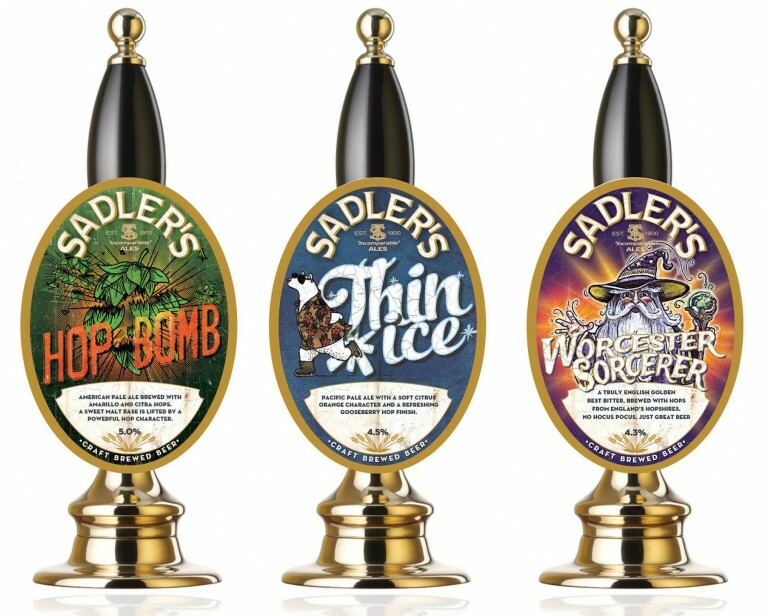 Sadler's Brewery Branding and Design, how design made a huge impact on a small brewery. 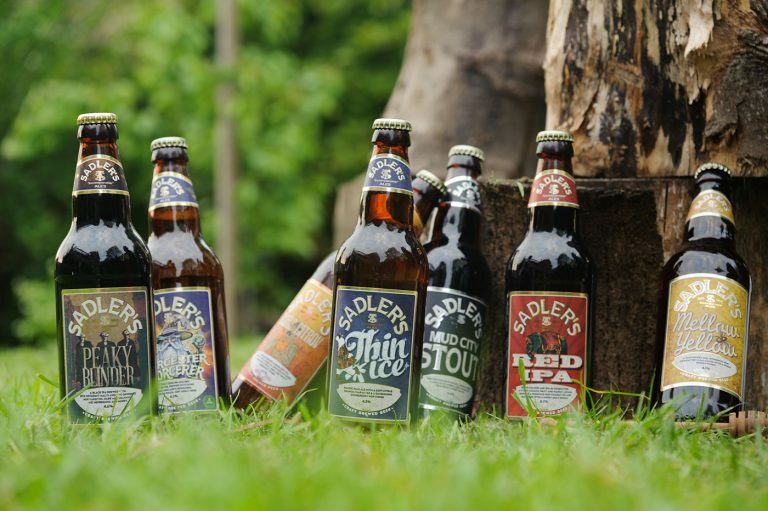 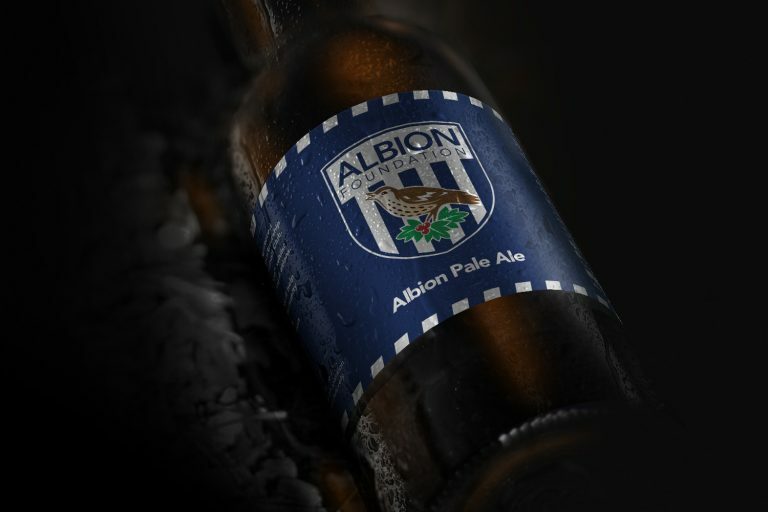 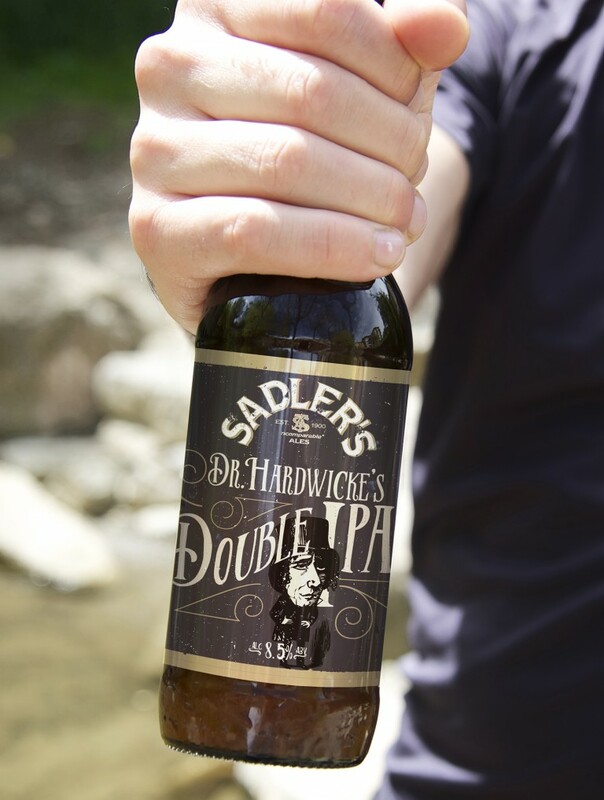 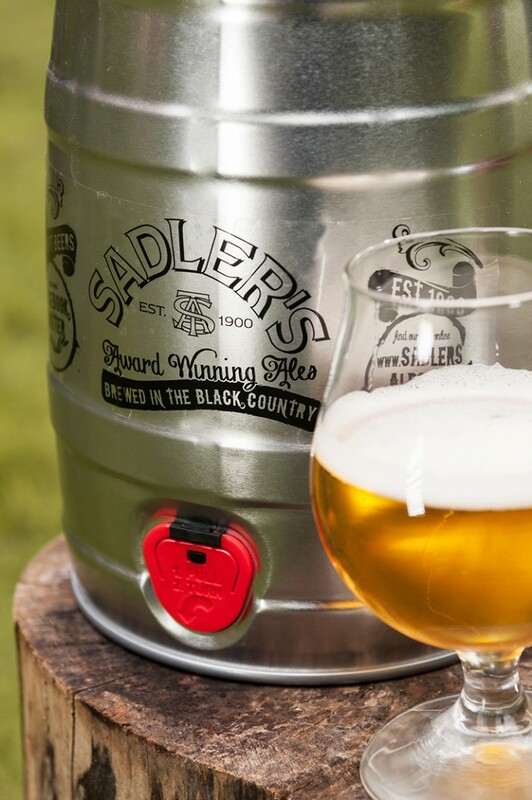 Over the course of 18 months we helped Sadler’s Ales, a local family run brewery, propel itself from local player, onto the national platform and beyond. 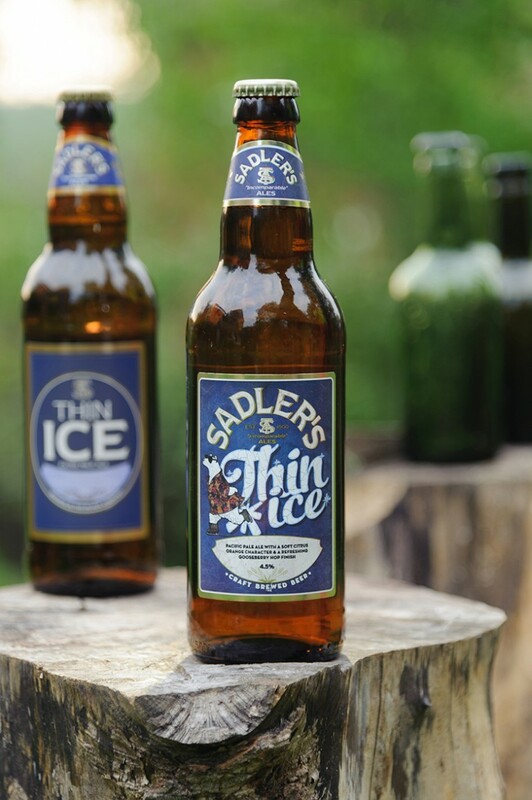 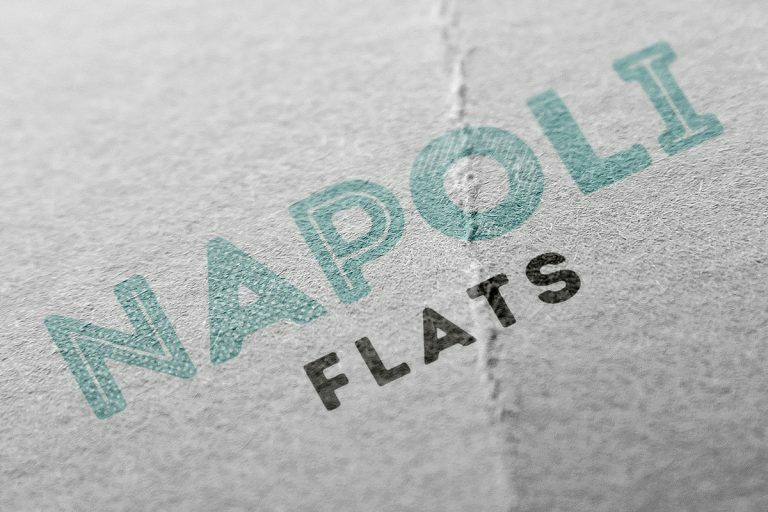 We overhauled their entire established range of bottled beer introducing fresh and exciting new character to their brand, reinforced by strong typography and a rich palette of colours. 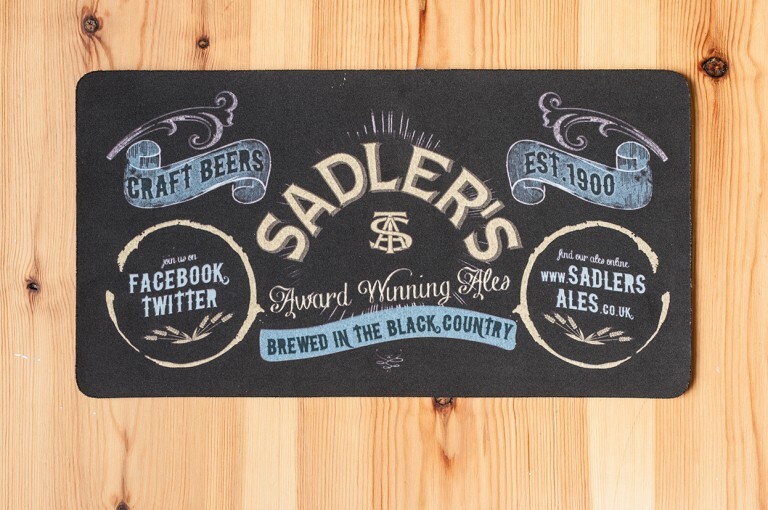 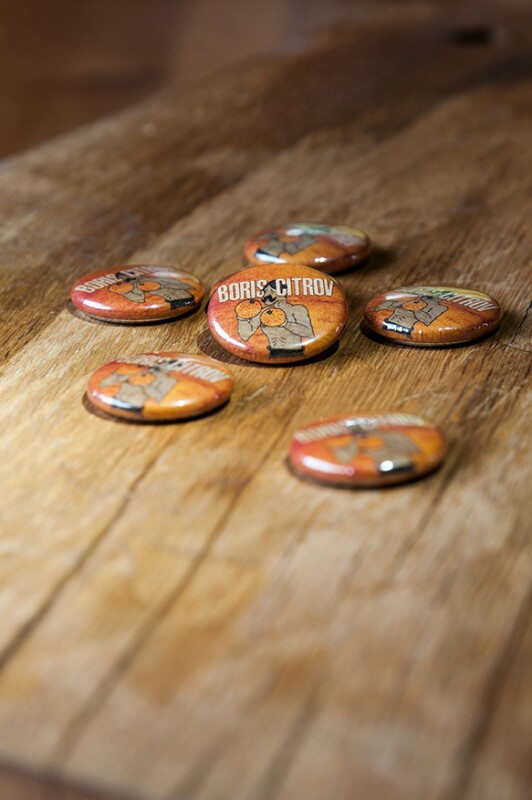 The brief asked us to create an individual touch to the entire beer range, without loosing the powerful family name. 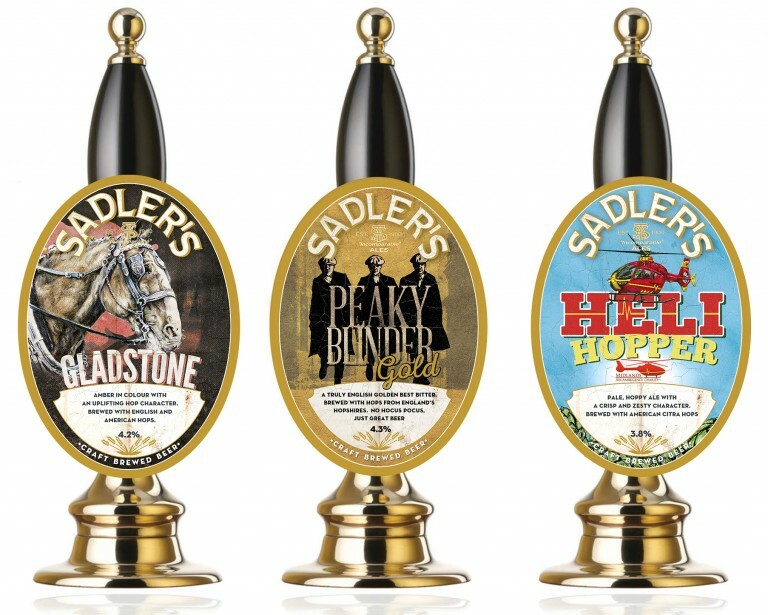 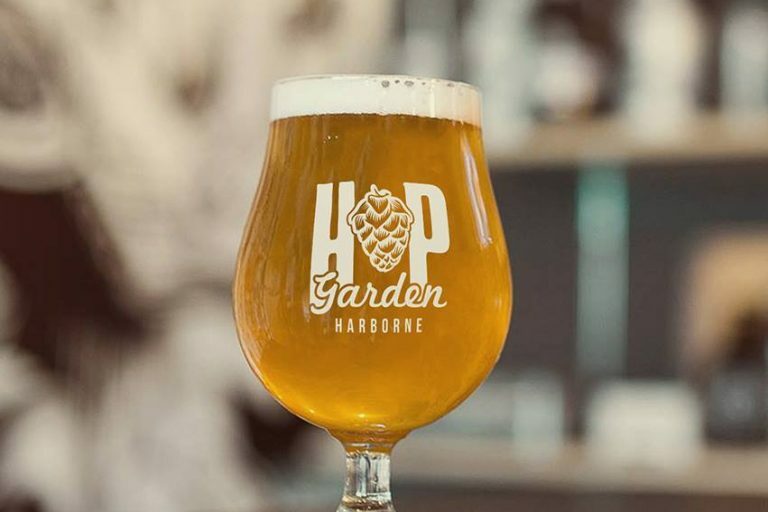 We also created some strong monthly specials and special edition pump clips, whose design was very well received, setting a strong precedent for original design styles. 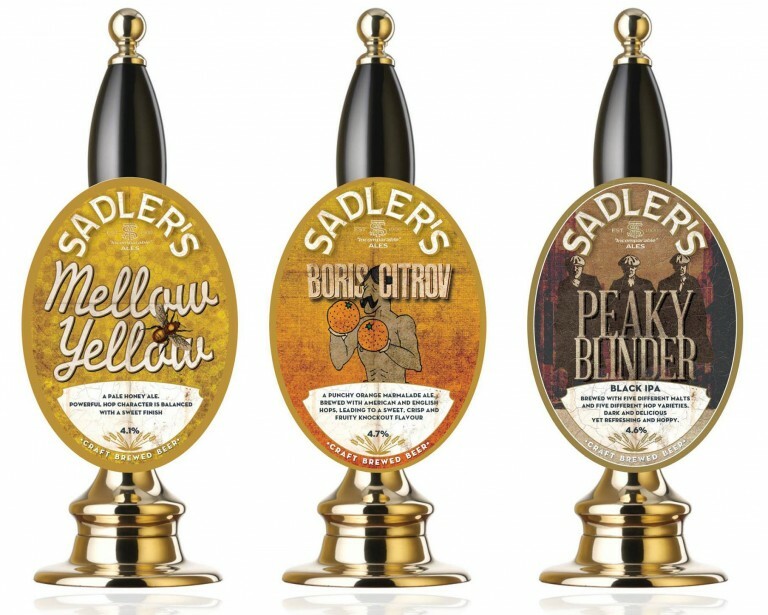 Taking their penchant for colourful beer names we created a range of complimentary characters: bears (Thin Ice), boxers with oranges for gloves (Boris Citrov), Indian elephants (Red IPA), exploding hop flowers (Hop Bomb), infamous Black Country gangs (Peaky Blinder) and a doctor thrown in there for good measure (Dr. Hardwicke’s Double IPA). 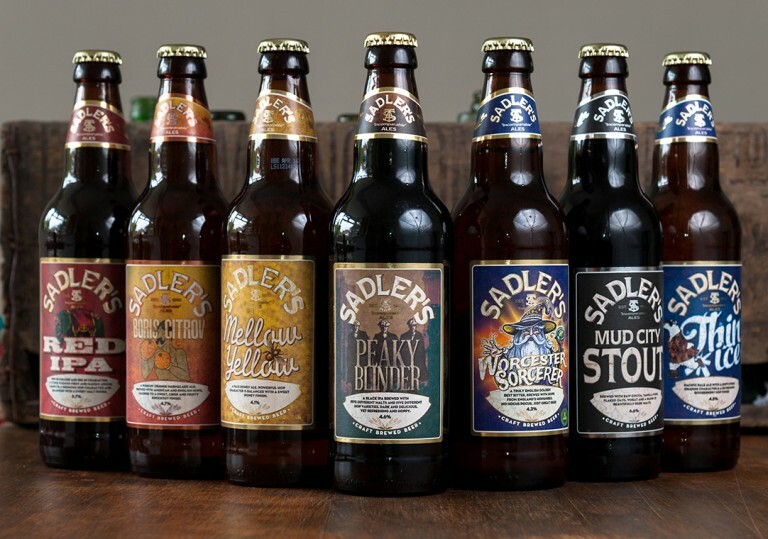 The Sadler’s Ales rebrand was our introduction to the rewarding world of craft beer, allowing us to create new brands for a myriad of British brewers who value design. 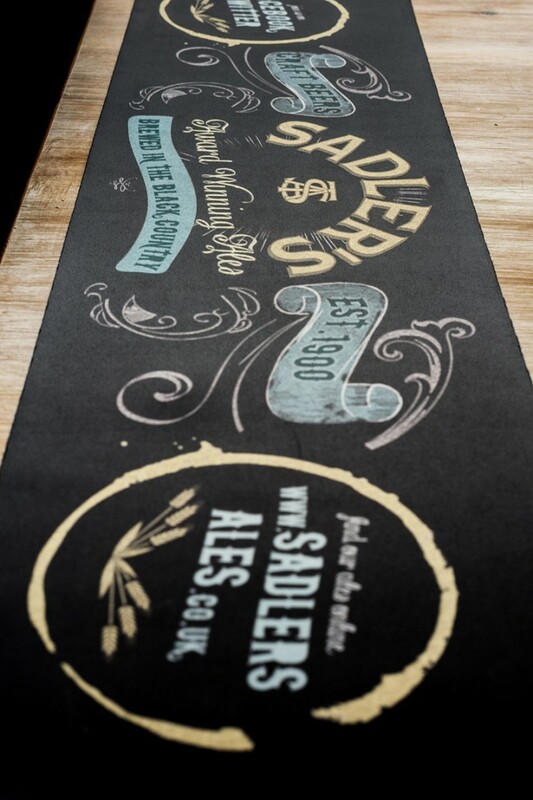 Further projects included the brand for the Sadler’s Brewhouse and Bar in Lye, point of sale material currently visible and used throughout supermarket chains as well as multiple items of promotion and merchandise.